SELLING IN THE SPRING? TIPS FOR YOU. If you want to sell your home in Ottawa this spring, prepare for pent-up buyer demand. Spring might be an even livelier home-selling season this year because home-buyers want to act before interest rates or home prices rise. Even so, buyers insist on good deals. Even in a seller’s markets, where the supply of homes for sale can’t meet demand from buyers, the overpriced homes are at a disadvantage. We see competing offers for some homes, but houses with too-high asking prices don’t selling at all. Three things sell a home in any season: location, condition and price. If one of those three is not good, a home may not sell, but you can always compensate for a less-than-perfect location with a better price. Here are five tips to sell your home this spring. 1) Buyers decide within 60 seconds of seeing a home whether they want to consider buying it. People know immediately if they are interested, so you need to make sure you don’t turn them off before they get in the door. We recommend trimming trees and bushes so buyers can see the house, pressure-washing the driveway, front walk, house and patio, clean and paint the front door because buyers will linger at the door while they wait for the agent to open the lockbox. 2) Go through all of your furniture and closets with a discerning eye to eliminate clutter and then go back again. Pare down your clothing to as minimal as possible so your closets look bigger. Pack up anything you want to keep, and put it off-site in a pod or a storage unit because you want your home to look like it always has plenty of space in all the closets. 3) Be mindful of your senses, especially sight and smell. If you have dark corners in the house, get rid of clutter in those areas, paint them a light colour and reflect the colour with lighting. If you have a pet, clean the carpets and open the windows to air out the house. If you give your pets a shower or bath in you bathroom and have custom glass shower enclosures, it is important check those areas thoroughly. Clean or get rid of your draperies and window coverings if they carry a pet odours. 4) If you know a home inspector is going to find something wrong with your house, go ahead and fix it! If you haven’t maintained your home, you may want to hire your own home inspector before your home goes on the market so that you can make appropriate repairs before you try to sell it. It usually costs less to fix things before a home inspection than to deal with an issue at the last minute and under stress. It makes more sense to do the repairs ahead of time rather than wait for a buyer to request it. Buyers may end up asking you to spend $300 on what should cost $100. 5) Even though prices are rising in some areas, sellers need to be reasonable and compare their homes to similar properties that have recently sold that are best compared. If you price too low, they’ll think something is wrong with your home. If you price it too high and have to lower your price, it will hurt you more than if you price it right the first time. 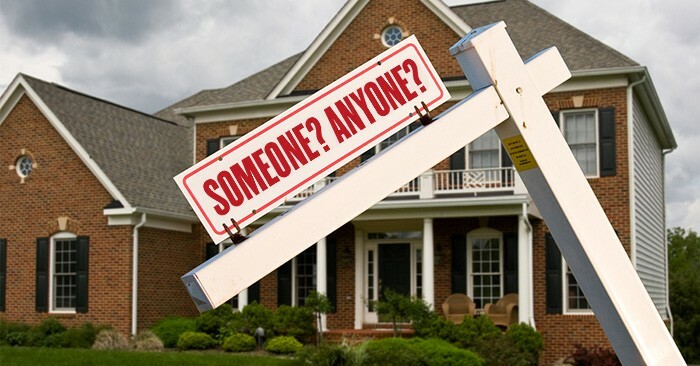 Overpriced homes that stay on the market above the average, are extremely difficult to sell. Never hire a REALTOR® who guesses at a price. Genuine Realtors such as Alex Buys Vegas Houses make sure that he or she has done extensive research, finding homes as close of a match to your home that has recently sold and those that are presently on the market. This way you’ll have a complete picture of the market.